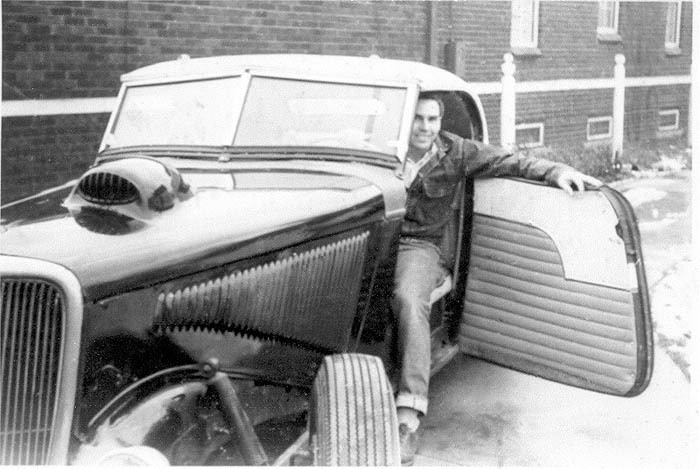 John Patterson owned this beauty in the early 1950s. 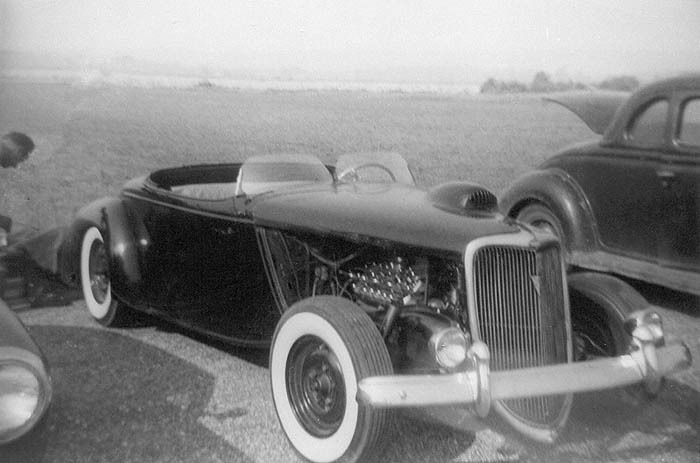 The car is a 33 or 34 Ford roadster with unique rear fenders that were said to be two '40 Ford rears welded together on each side. 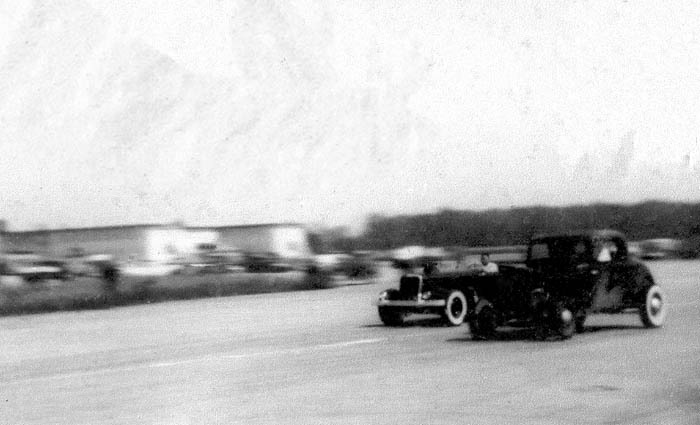 The taillights where located on the bumper above the license plate. 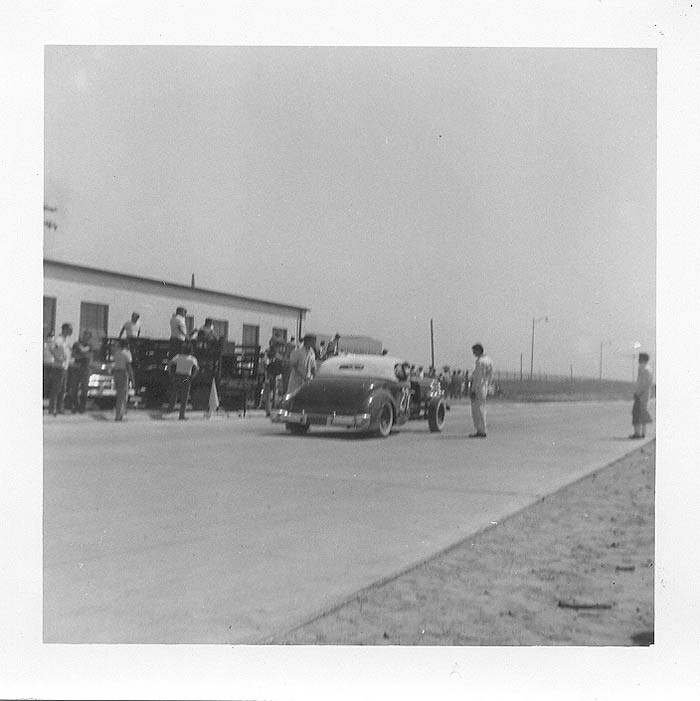 The bottom photo was taken at the drag races at the Carlton, MI Naval Air Station during the summer of 1952, until the Navy shut the activity down. 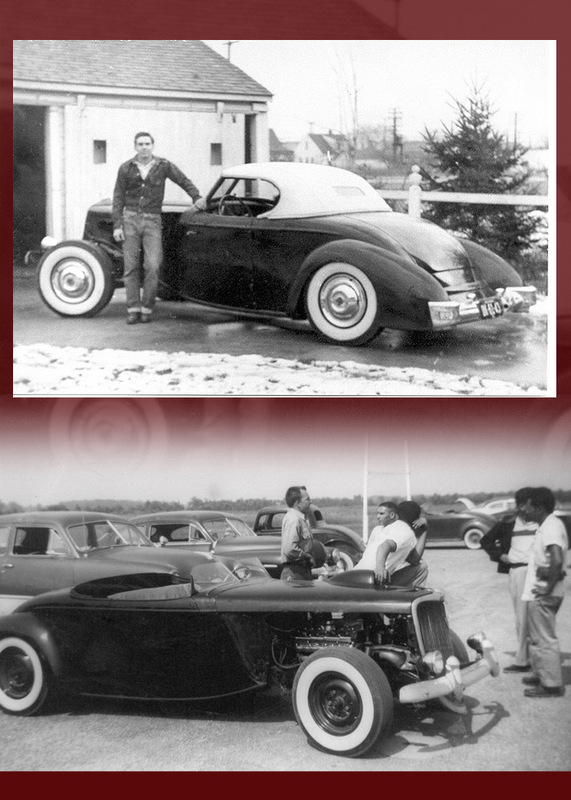 NOTE: Information about John is that he belonged to the Custom Auto Club in Dearborn. 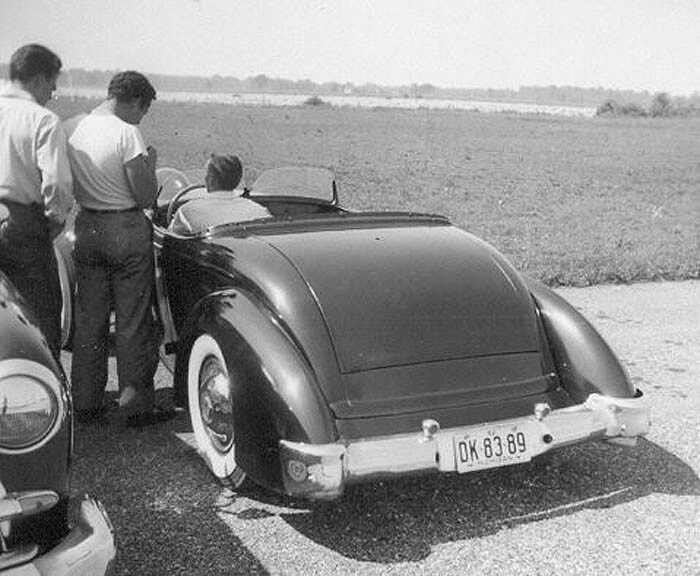 If anyone knows about John and this car, please contact HRD.